Sailing Yacht HYGIE Crewed yacht charter French Italy embark on the most majestic of sailboat an exceptional classic sailboat to live unforgettable moments. 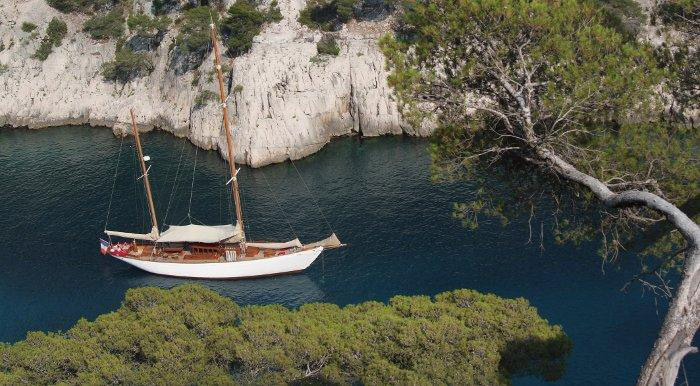 come sail on the blue streams of the mediterranean on a beautiful 79 ft wooden ketch built in the purest tradition of the classic sailing. complete equipment & unique comfort. 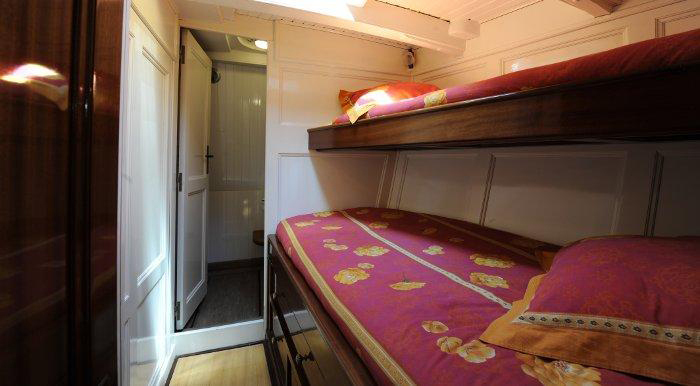 luxury and delight for 8 to 12 passengers, skipped by a professional crew open to your demands. 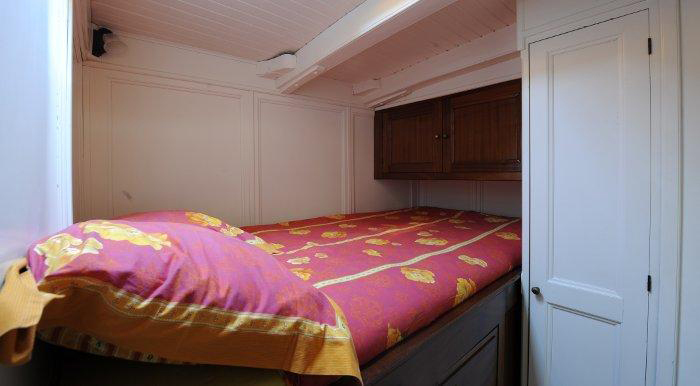 cruises, classic regatta, receptions on board and bed & breakfast at the harbour. one day charter (max 12 passengers) week charter - 8 passengers for a cruise towards farther shores, taking the time to live the moment and to savor fine cuisine prepared for you on board by our cook. party/night on board. up to 25 guests in a unique setting. the crew and the hostesses serve up to 25 persons with full service catering, music and animation according to your request. build in 1930 at the lemarchand. shipyard birth of a great classic sailboat certainly the most beautiful pleasure boats built in la liandrais. in 1929, louis lemarchand managed the shipyard where the boat was born. he was the son of a carpenter, manufacturer of beautiful and strong tuna ships and pilot sailboats. the owner was reknown in the sailing set of saint malo. mr. and mrs. verliac were members of the yacht club de france. staysail and jib. the luxurious interiors, are signed by a very select parisian cabinetmaking company wich had a high reputation at the time: "au bûcheron". in 1931, hygie under flag of yacht club de france won the cup king edward VII on the cowes-dinard route for cutters to minoru, karin III and gwenaloé. in 1960 extensive changes underwent to the ship, the stern was lengthened by 70 cm, the chains were removed, the rig was changed to marconi ketch with a great wooden mast and foremast aluminium. another important change, a bulky roof was added. 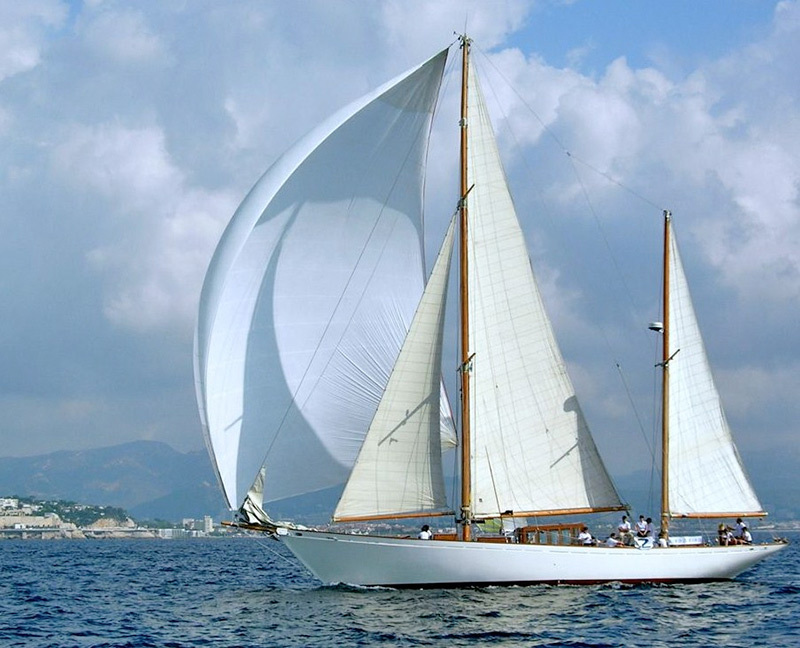 in 1986, during a violent storm in the gulf of genoa, hygie suffered serious damage and thanks to the intervention of the architect george auzépy-brenneur, this beautiful ketch returned to its original beauty with a oregon pine masting by les baux shipyard in sanary-sur-mer. *Hygeia was a beautiful and powerful goddess, responsible for human health and the daughter of asclepius, the divine physician. 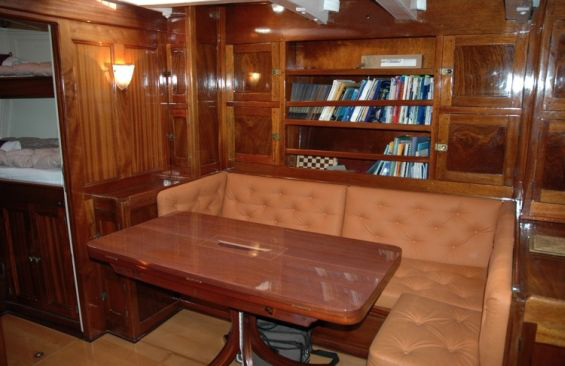 Length waterline: 17,2 m/56 '4 "
Beam: 5,30 m/16 '4 "
Draught: 3m / 9'84 "
Main mast: 21m/68 '9 "
and the main saloon: a real lounge where to meet and share sensations. 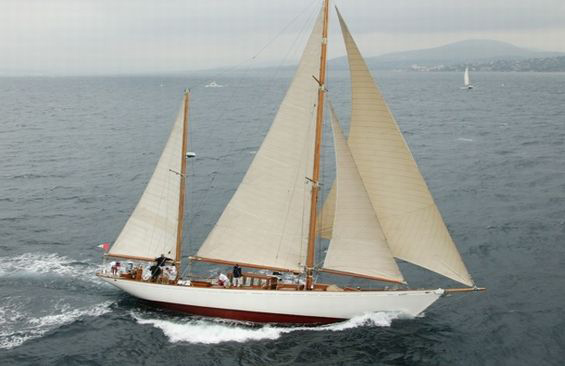 Classic yacht Hygie is available for day, week, charter up to 8 people. 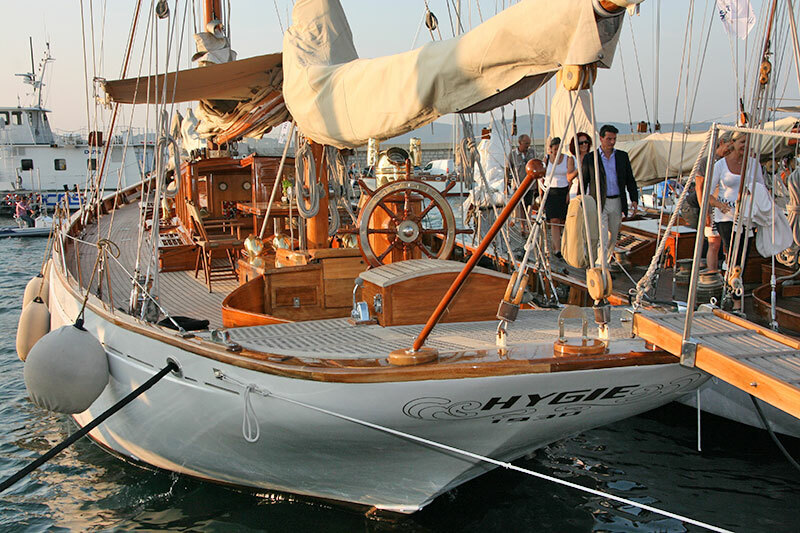 Hygie is also for regattas and events available. 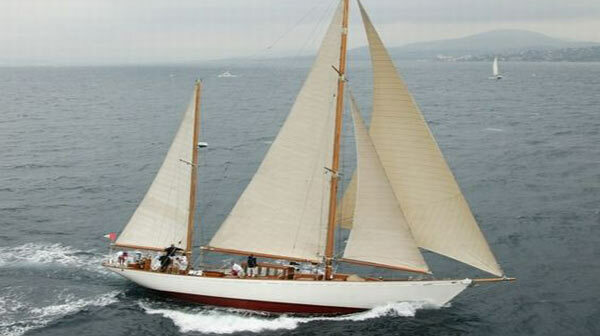 Interested in Classic Yacht Hygie?